Xiaomi just recently announced the Mi Max – an economical 6.44″ phablet that packs performance with style. The Mi Max was in rumors ever since the announcement of the Xiaomi Mi 5 and it has finally been announced today by the Chinese multinational. The phablet features a beautiful metal unibody with a thickness of only 7.5 mm and a screen resolution of 1080 x 1920 pixels. 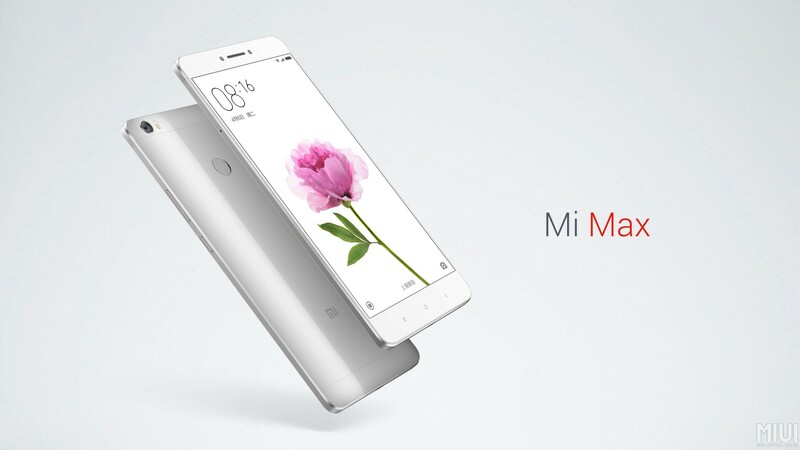 The Xiaomi Mi Max will be made available in two different CPU models. The first and the more powerful model features the latest Qualcomm Snapdragon 652 chipset with an octa-core (Cortex-A72 and Cortex-A53) processor. This model will be available with both 128/64 GB of internal storage and 4 GB of RAM. The second model features the powerful older Qualcomm Snapdragon 650 chipset with an hexa-core (Cortex-A72 and Cortex-A53) processor. This model will only be available with 32 GB of internal storage and 3 GB of RAM. The GPU is the Adreno 510. The camera on the Xiaomi Mi Max features a 16 MP back shooter with dual-LED flash and HDR. The front camera is a wide-angle 5 MP shooter. The Mi Max also features a fingerprint sensor on the back and an impressive 4,850 mAh battery that can be charged to 83% in 30 minutes (via Quick Charge 3.0). The phablet will be available for as cheap as $230 (approximately PKR 24000/-) in China but these prices are expected to rise after shipping costs are included. Another announcement made by Xiaomi at the launch of the Mi Max was the release of the MIUI 8.0 that is based on the Android 6.0 Marshmallow platform. The MIUI 8.0 will now be made available on all compatible Xiaomi devices. Conclusively, the Xiaomi Mi Max is finally here with an economical lower mid-range price tag, the powerful Snapdragon 652, and the latest MIUI 8.0 that is expected to arrive on your Xiaomi device very soon. The post Xiaomi announces the economical Mi Max phablet and MIUI 8.0 appeared first on TechJuice.